We've got SUP light setups that you can strap onto your SUP and experience twilight or midnight out on the water! 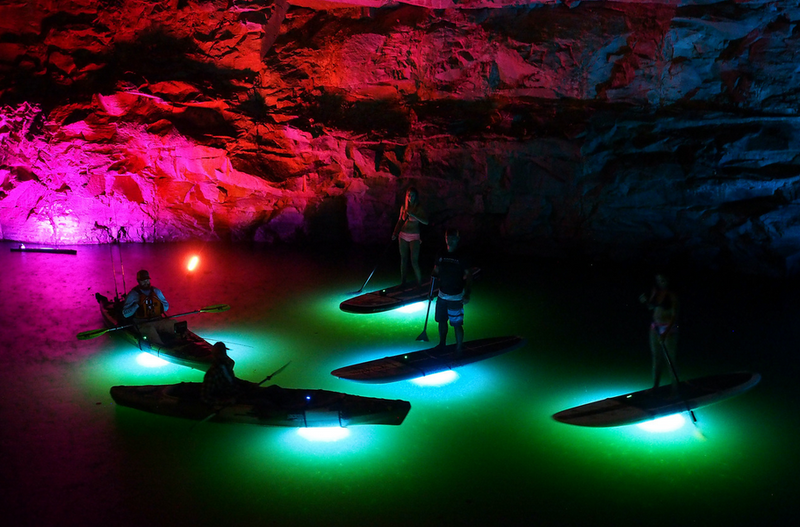 With lights on your paddleboard, you'll be able to paddleboard at night and see things you have never seen before and the lights not only let you see well, but they also let others see you better too, and you can easily track your friends and family as they join you on night-time SUP adventures. 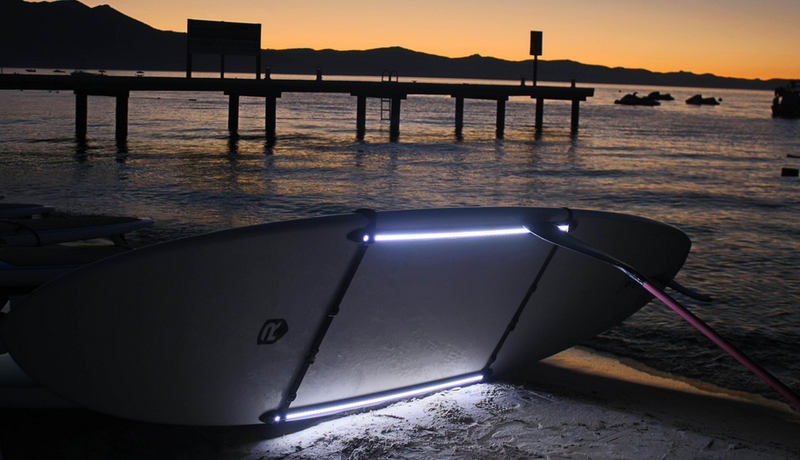 The pro version is a high-performance, removable, and rechargeable underwater multi-color LED lighting system for stand up paddleboards. Fully adjustable straps let you snugly fit the lights around virtually any size paddleboard. The straps are connected with heavy duty buckles that provide a firm connection yet allow you to quickly remove or add the lights. Each Nocqua Spectrum lighting kit includes a water-resistant lithium ion battery pack and charger. These batteries are high capacity and are capable of providing 1600 lumens of light power for up to 4.5 hours! The sport version is a more basic, more affordable version of the pro. The lights are white only - no color changing. The water-resistant lithium ion battery pack and charger provide 1200 lumens of light power for up to 3 hours. The entire light kit can fit into the included travel case to allow for easy transport and protection when your lights aren't on your SUP.